The NFL offseason of trades – the first of its kind – continued on Friday, as the reigning Super Bowl champs refuse to stand pat. 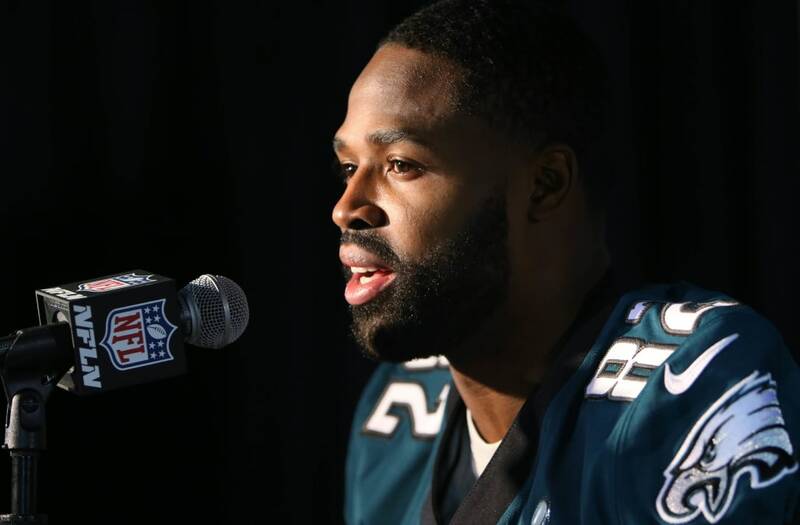 Via NFL Network and ESPN, the Philadelphia Eagles are trading veteran receiver Torrey Smith to the Carolina Panthers; in exchange, the Panthers are sending cornerback Daryl Worley to Philadelphia. This comes just a couple of days after the Eagles acquired defensive end Michael Bennett from the Seahawks in exchange for draft picks and receiver Marcus Johnson. The 29-year-old Smith just won his second Super Bowl ring (he also won one with the Ravens in 2012-13), and was the Eagles’ fourth-leading receiver last season with 36 catches. In the playoffs, he recorded 13 receptions for 147 yards and a touchdown. The Panthers, who were thin at receiver last year, get a versatile player in Smith, someone adept at shorter routes and also capable of being a deep-ball threat. This is certainly a win-win situation for Philadelphia: with Smith on the books for $5 million next season, the team was reportedly ready to part ways with him; instead, not only do they clear Smith salary off the books, they picked up a promising young player in return. Worley, a third-round pick out of West Virginia in 2016, started 25 of 31 games for Carolina over his first two seasons. He’s also still on his rookie contract, so the Eagles are getting someone with a good deal of experience for a bargain price. And Worley gets to go home: born and raised in Philadelphia, he was a standout at William Penn Charter School before his All-Big 12 career with the Mountaineers.